Catsparella: Feline Fatale By I Love Crafty Cat Nap Ring Giveaway Winner! Feline Fatale By I Love Crafty Cat Nap Ring Giveaway Winner! 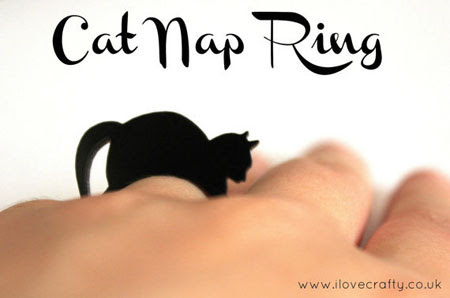 Thanks to all who entered the Feline Fatale By I Love Crafty Cat Nap Ring Giveaway! I used Random.org to determine the winner, and it selected comment #79 belonging to Nakita, who wrote, "Love it! Can never have too much cat in ones life! :)"
Be sure to check out the Feline Fatale Etsy shop for even more chic kitty-inspired accessories, and follow them on Facebook for all of the latest I Love Crafty updates!